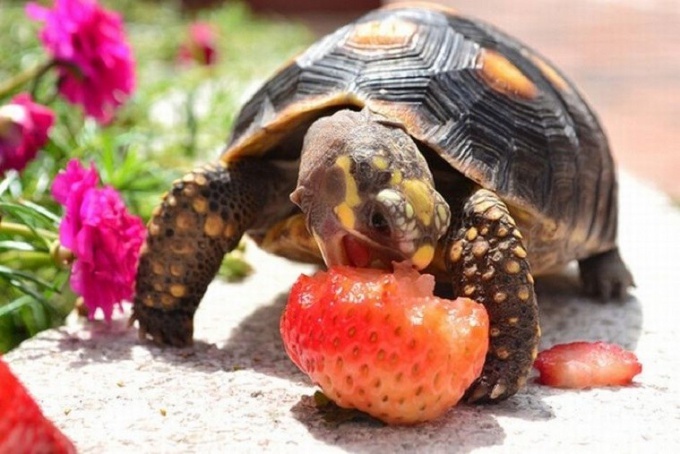 Turtles are the most popular and beloved animals, which you can keep at home. Especially to mess with them like children. 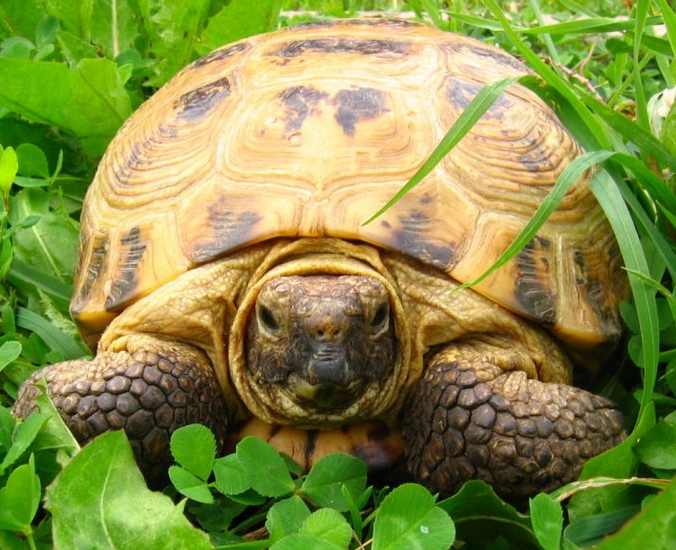 These reptiles live a very long time; there are cases when the tortoises are inherited. Basically any turtles you can make a home, land or freshwater. Before getting a turtle, read the relevant literature about their types. Depend on created for the pet conditions and the type of feed. Just buy the aquarium and equip it with heat and light, especially if you buy a turtle native to warm lands. Go to buy pet in the pet store. The vendors there will tell you how to keep the acquired form of a turtle. If you decide to make a purchase at a poultry market, first learn to recognize a particular type of turtle. Not so many types, suitable for the maintenance in Russia. The most popular turtle, contained in the domestic terrariums, pond slider. Look at her head. It should be green with red spots on the ears; the spots may be orange or yellow. Ask the seller where brought turtle. Basically, these representatives are imported from U.S. turtle farms. Get ready to feed the slider turtle plant food, fish. 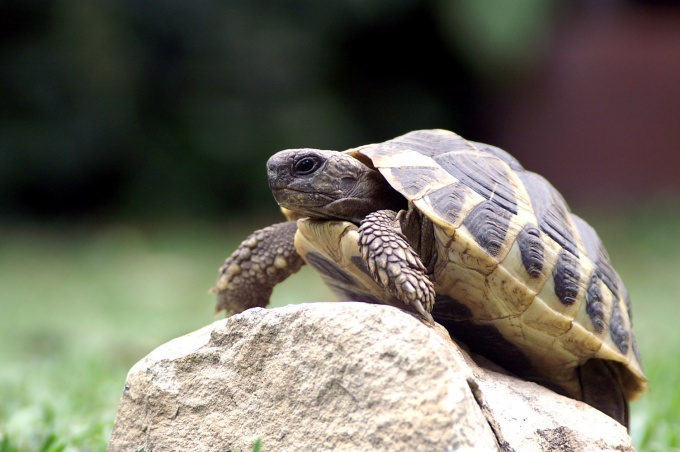 Despite the fact that the freshwater turtle, keep it on land. The aquarium will buy a large because the adult reaches up to 30 cm in length. You will see a black turtle with yellow spots or stripes, you know that this is a common turtle that lives in the southern territory of Russia. It has quite a long tail (10 cm). 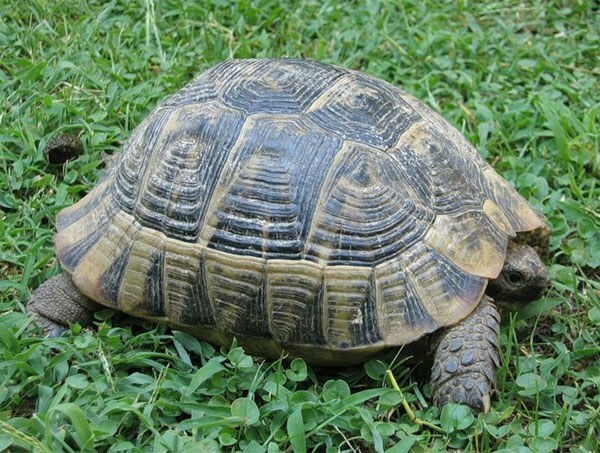 This species is listed in the Red book, the sale of turtles prohibited. In the apartment of the turtles fall, being brought back after a day at the resort. Be careful when buying far Eastern Softshell. 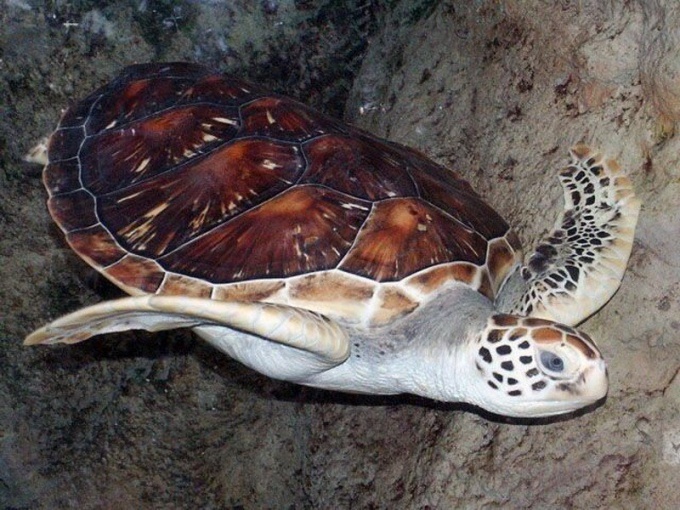 This green turtle with a long neck aggressively. Her carapace is covered by skin with dark spots. 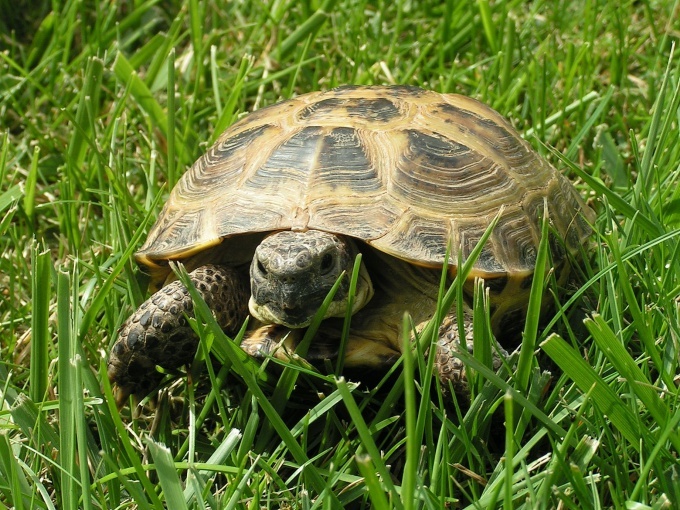 Distinctive features of the tortoises are a small proboscis on the snout and three claws on each paw. Keep specimen in the aquatic environment, feed fish. Please note that the content in the wrong conditions the animals often die.